March is here! 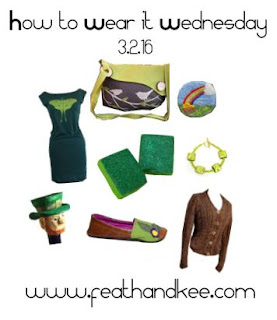 This week's outfit is inspired by the Spring greens of March and St. Patrick's Day. 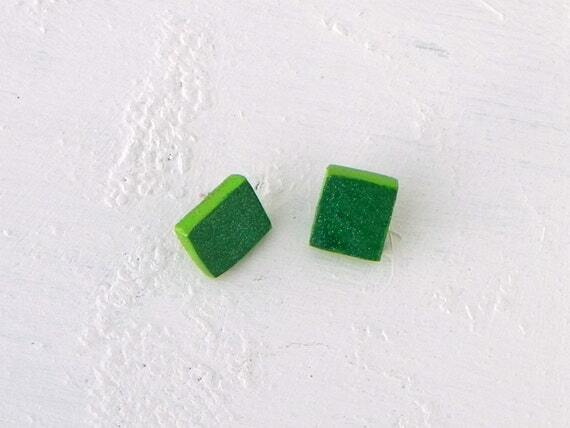 Glitter adds a bit of sparkle to this pair of emerald and lime green earrings from our shop. They are made from reclaimed wood. The light green Luna Moth was hand-screened onto a 100% cotton jersey dress with environmentally friendly water-based ink. Available at eleventy-five. The design of this neat bag from LB Artworks was inspired by an early morning walk. It is made to order from cotton canvas, featuring handmade wooden buttons. 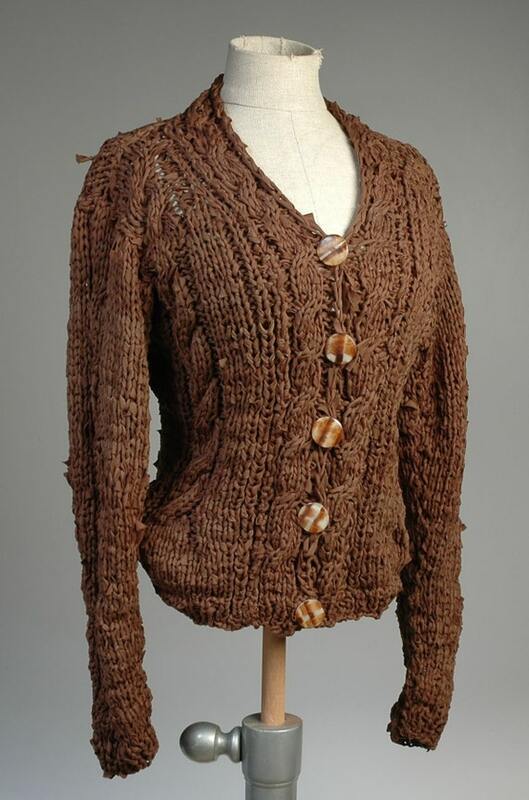 This knit jacket from Shades of Green was made from remenant materials collected from factories, preventing them from going to the landfill. 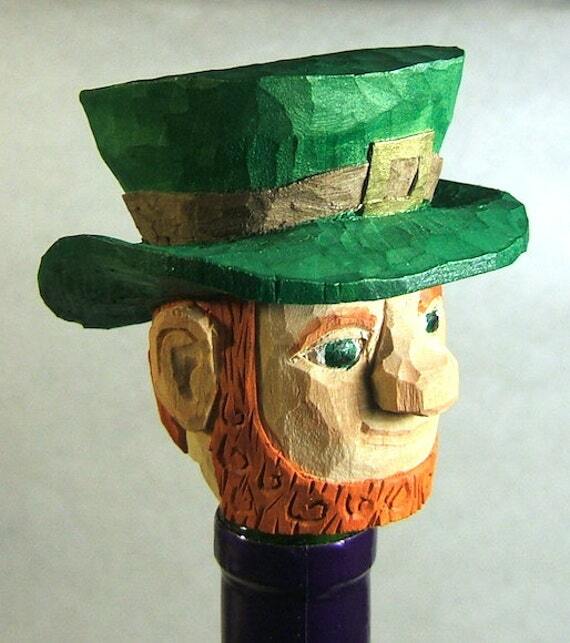 A must have for wine lovers, this cute little guy was hand carved from basswood. You can find him at Claude's Woodcarving & Beaded Art. You can wear your own pot of gold. 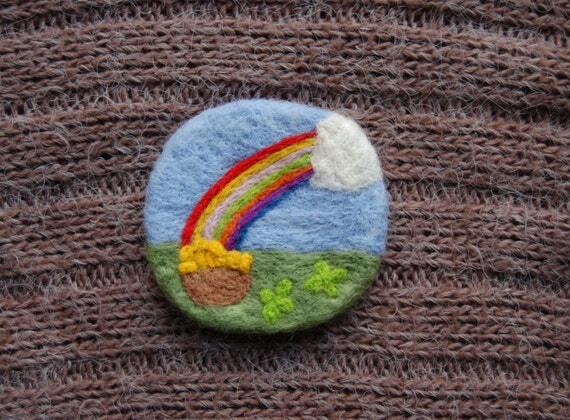 This cheerful brooch from ValoisFelts would brighten anyone's day. 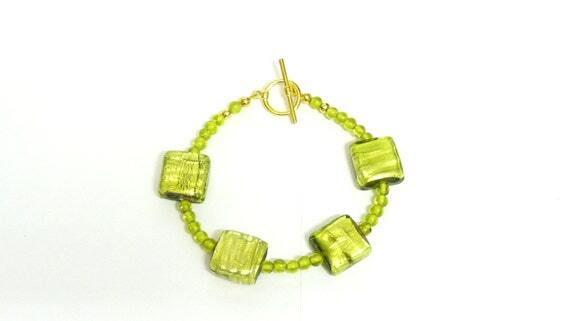 Bright green lampwork and seed beads make up this bracelet from Tillies Treasure. Beautiful and adorable all at once. 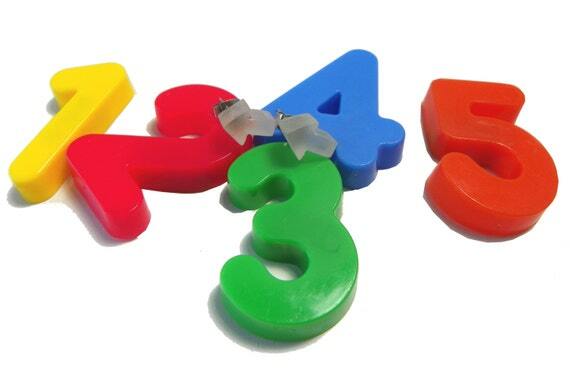 Even though the child's pair is a separate order. I had to share! 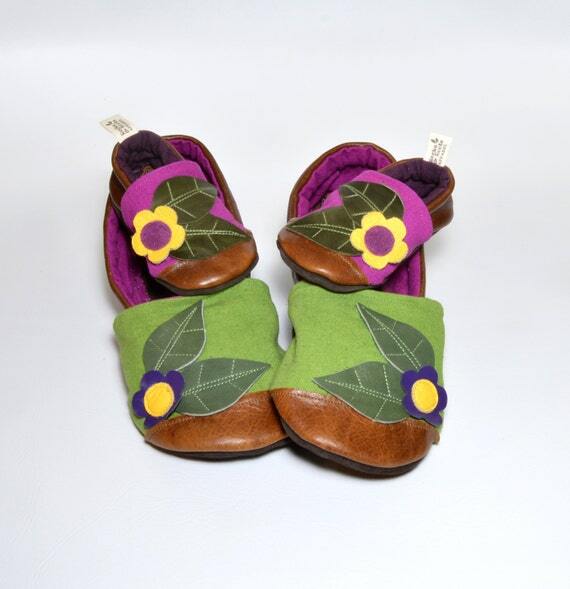 These soft soled slippers from Rocks & Roots Apparel are made from hand dyed canvas and leather with a neoprene sole. This would be a neat gift of a new mom. Being so close to Spring, this week's outfit is inspired by my favorite season, with a little bit of nineties nostalgia sprinkled in for good measure. 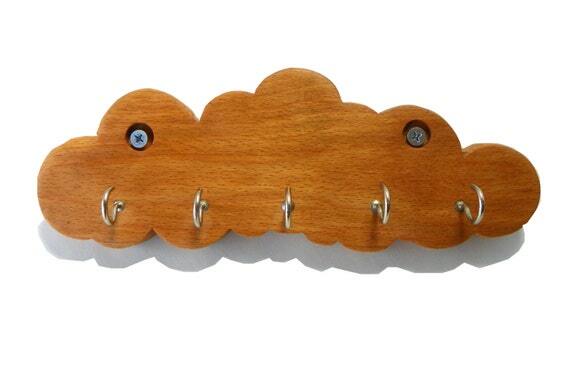 One of our recent additions, this cloud key rack was made from reclaimed oak that came from an old chair. Once all of the layers of dark varnish were sanded away, the beautiful grain of the wood was exposed. Bryan finished it with linseed oil to condition the wood. 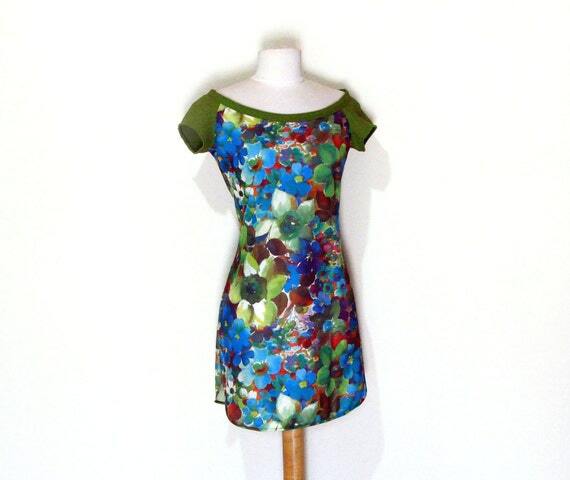 The green and floral fabrics compliment each other so well in this dress from Fabstract. It is handmade from reclaimed vintage fabric. A lovely one of a kind piece to add to your wardrobe for the warm months ahead. Continuing with the florals, these lace leggings from Maya Epler will keep away the chill on brisk mornings. She also has a cute bolero shrug available in the same pattern here. 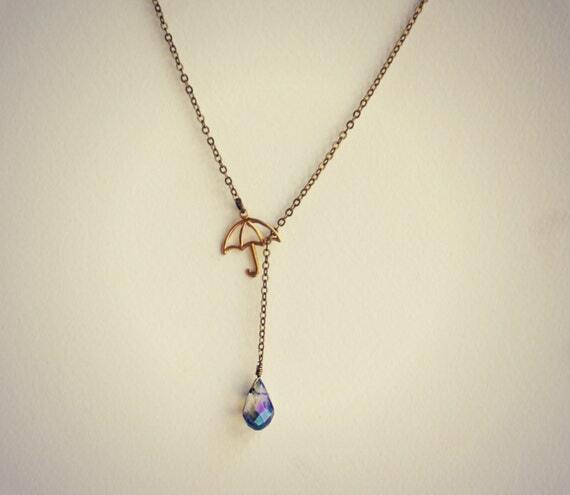 Love this umbrella necklace from Ala Pop Jewelry! Perfect for Spring, or if you are like me and love rain, everyday. They have a similar necklace with a turquoise drop here, but the shimmery iridescent is my favorite. 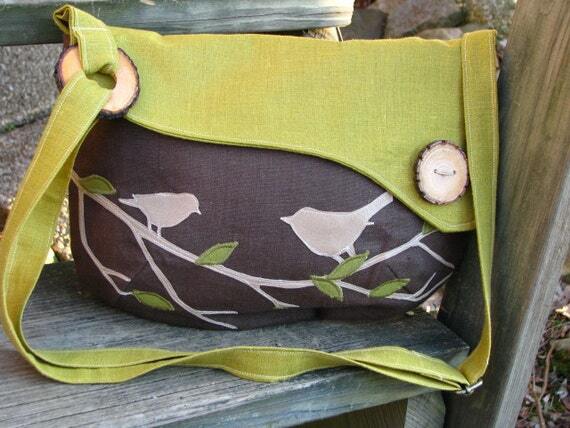 The design and color of this bag from Mika Mika Bags is so reminiscent of the rich green leaves of Summer. 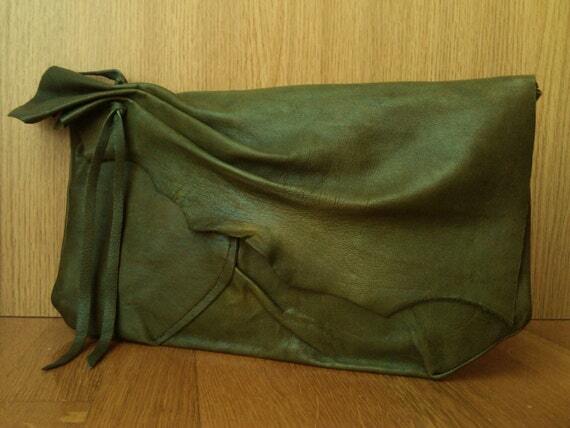 It is made from goatskin and comes with a chain so that it can be carried as a clutch or handbag. 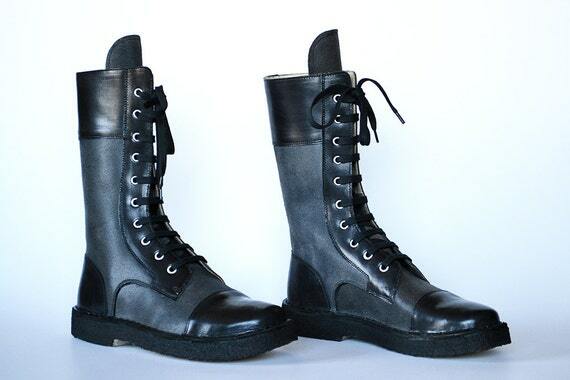 These awesome boots from Maurizi 0.1 Shoes are completely made by hand. The leather is vegetable tanned and curried. The currying process increases strength, durability, and water resistance. 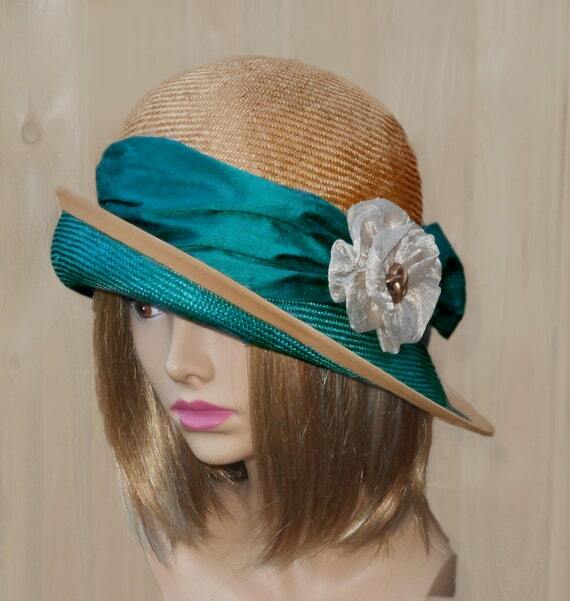 Two-tone Straw Hat from Luminata Co. Handmade from parasisal straw (high-grade straw made from sisal), the style of this hat from Luminata Millinery is from the same era as Downton Abbey. It's band is made from silk. So Valentine's Day has come and gone. Here in North Texas, the geese are flying north, Spring is definitely on the way! This week I mixed comfy neutrals with pops blue and green. Everything is handmade and was found on Etsy. From our shop... I have fairly recently that I really like teal. 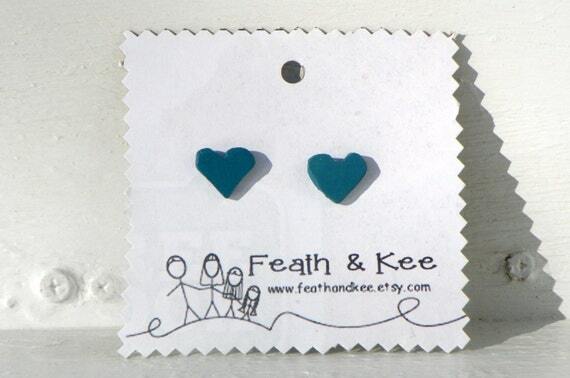 These teal hearts are made from recycled pine and have stainless steel posts. 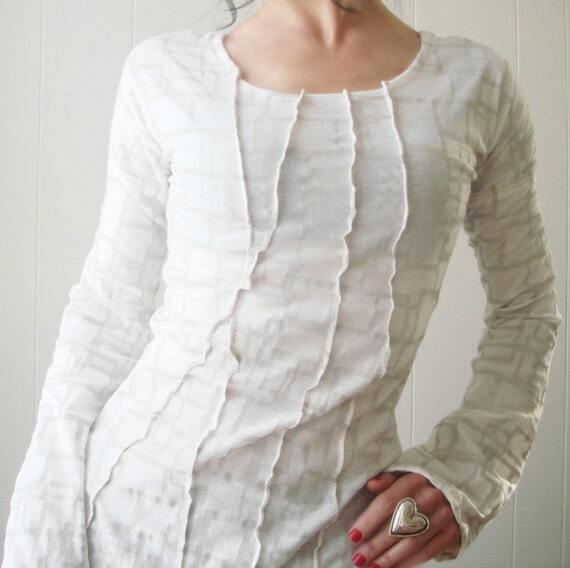 The subtle geometric, hand-printed pattern on this white tunic from I Heart Fink provides just the right movement and depth. 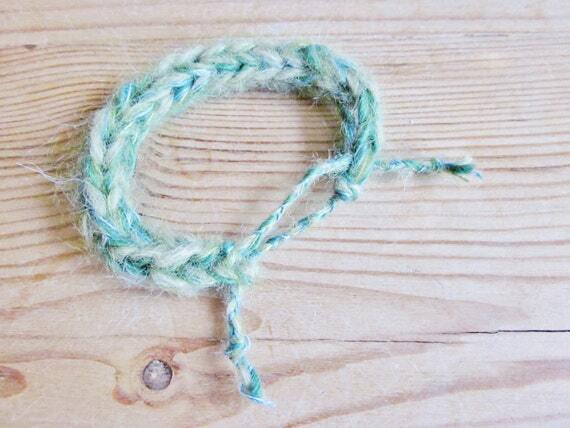 Promises of Spring are woven in along with alpaca, silk and mohair in this bracelet from One Purl Row. 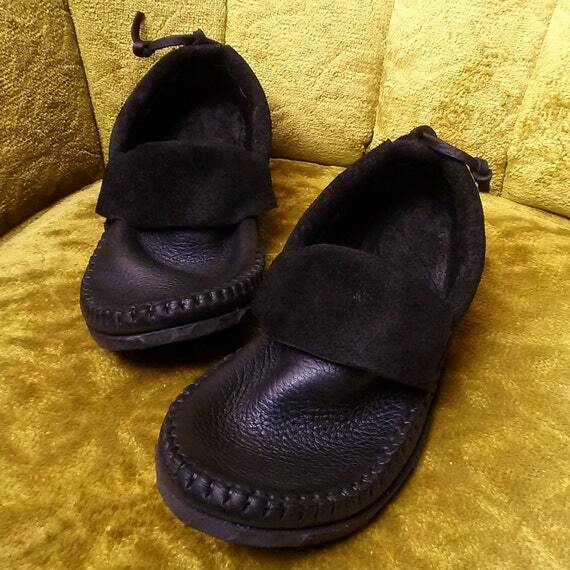 Tread Light Gear designed this pair of moccasins to keep your feet protected, but maintaining the feeling of being barefoot. They have a plastic / rubber blend vibram sole for added durability and flexibility. You may also order these in brown. The crew at Carousel Ink took one of their beautiful illustrations, then printed it on handmade leggings using water based ink. Awesome! Super soft leather and a detailed eye for construction have had a gorgeous meet-up that resulted in the SLING bag from Rough & Tumble. It is available for order in two different sizes. 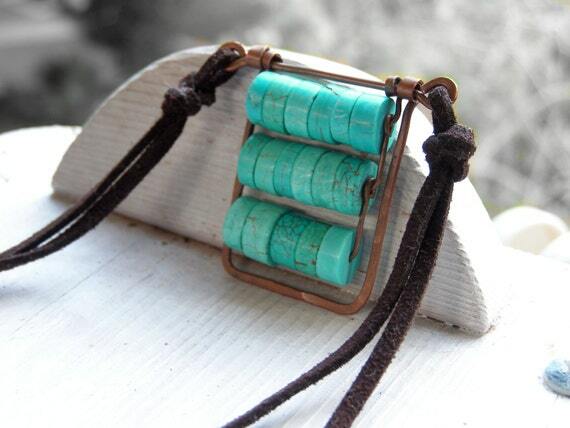 Turquoise discs, copper and leather combine in this neat necklace from Lena Mer. I absolutely love that the pendant has movement. Happy Valentine's Day! We had a few new additions to our shop this week that I wanted to share with you. Bryan made this pair of arrow earrings from Plexiglass. They remind me of arrows made out of fog or smoke. 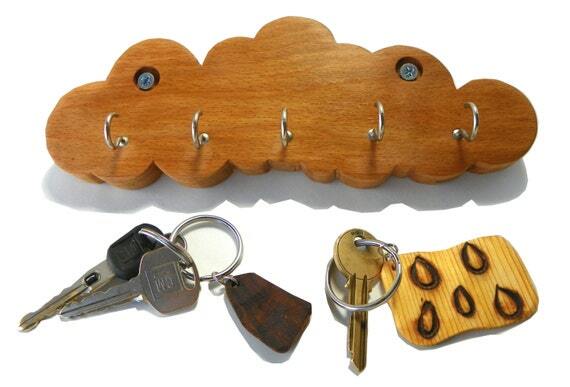 This cloud key rack is made of oak that Bryan reclaimed from a chair that was past it's prime. We have a few more pieces in development from the same chair that should be available soon. 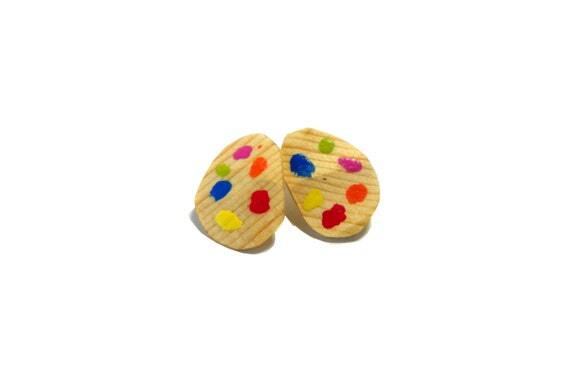 The final new addition last week, was this pair of paint palette earrings. They are made from reclaimed pine, and are so light you might forget that you have them on. If I wear earrings that are big at all, it seems like they pull on my ears, and are just uncomfortable. For that reason, most of our earrings are going to be as light as I can make them. Follow us on Instagram @feathandkee to see what we are working on. 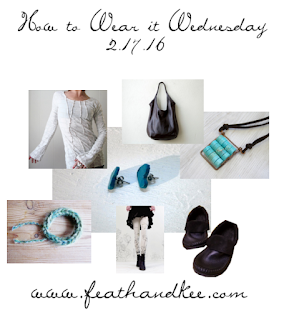 See you Wednesday for my How to Wear it Wednesday post! Last post before Valentine's Day! One more post celebrating hearts. I promise that this will be the last heart centered outfit for at least a little while. Ah.. how can you resist? 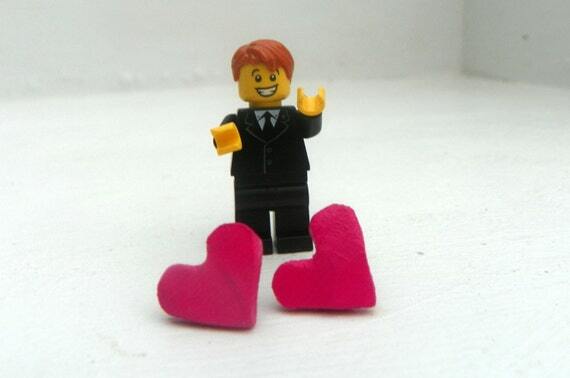 Feath allowed me to borrow one of her Lego mini-figures for this photo shoot. The earrings from our shop are made from recycled pine, with stainless steel posts. 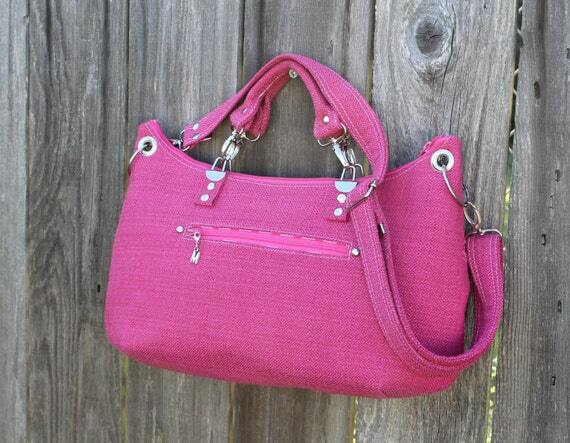 Sewn from forty-one separate pieces, this bag from Hypernoodle was designed to around function and durability. 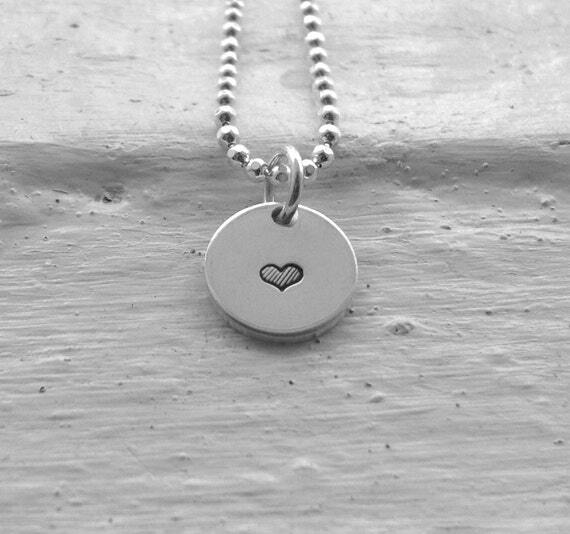 This lovely, dainty little heart has been stamped on a 20 gauge solid sterling silver pendant. 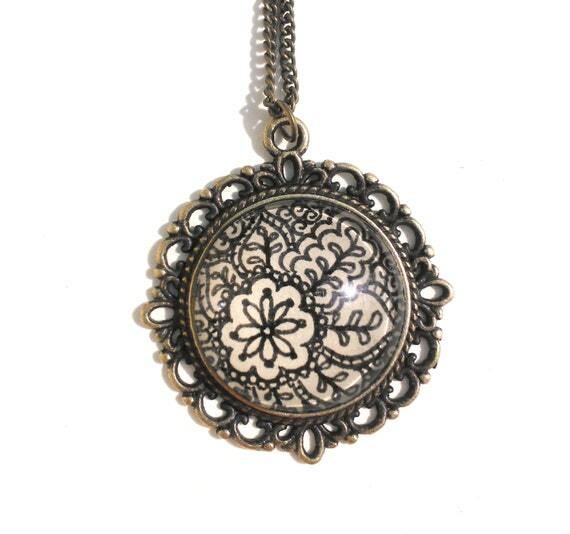 It is attached to a sterling silver ball chain. Find it at Girl Burke Studios. 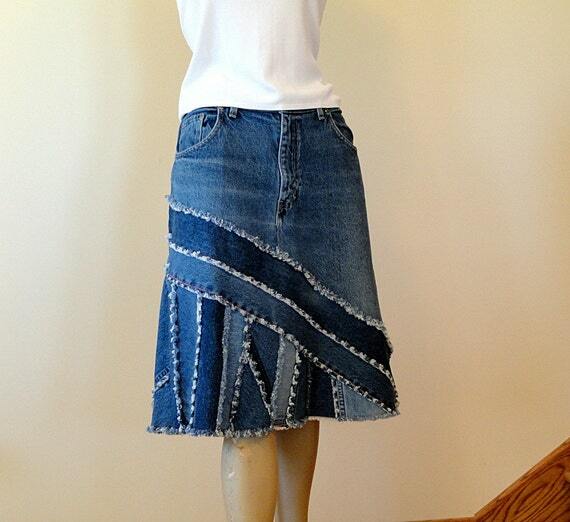 I really recommend that you check out all of the pictures for this neat upcycled skirt from Denim Diva 2day. This amount of detail is amazing. Each skirt is made to order from different pairs of jeans, so each is a work of art on its's own. 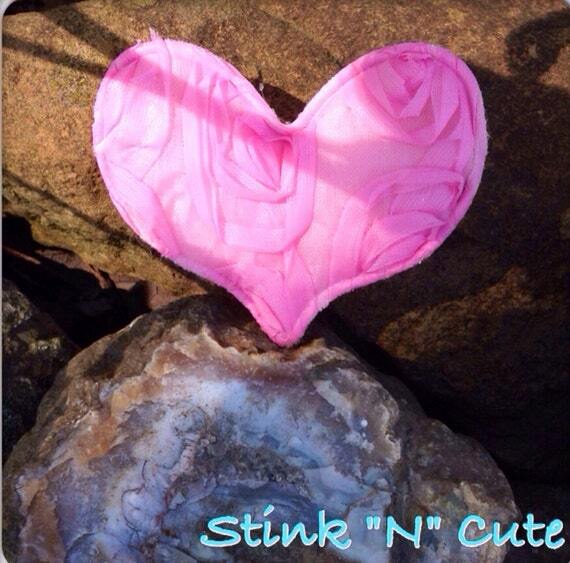 This cute heart clip from Stink "N" Cute is a great way to celebrate the day! Add it to an everyday accessory, or your hair for a feminine pop of color. Love these buckles!! 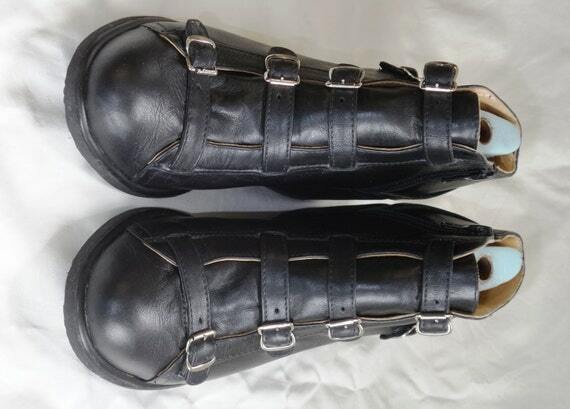 Heidi Louise Designer Bootmaker constructed this pair of ankle boots from a soft, sturdy leather. They have a wedge heel, and surgical foam inserts for comfort. Also, there is a zipper so that you can slip them on with ease. 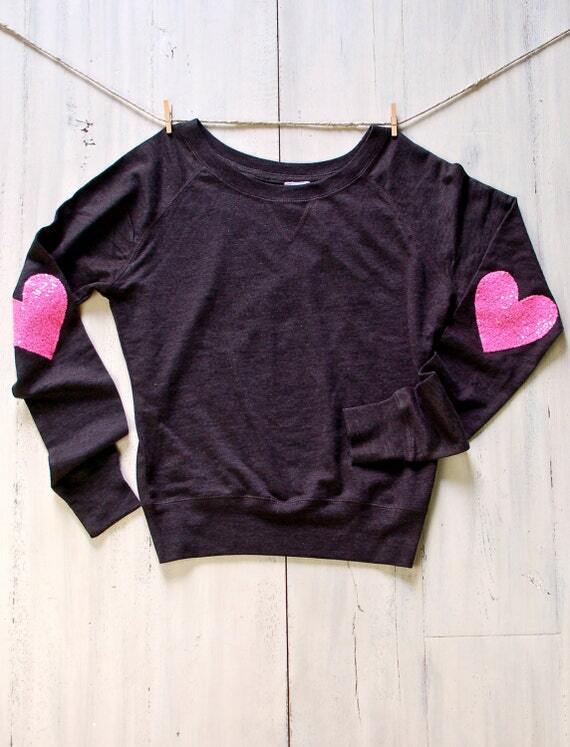 Sequined fabric heart patches adorn this French Terry pullover from Love + Bambii. You can request different color combinations. Hope that you have a super, lovely, wonderful, extraordinary Valentine's Day! With eleven days until Valentine's Day, I am thinking of hearts. 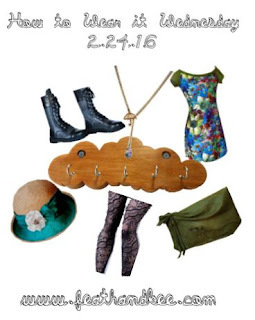 All of the pieces in this week's outfit are handmade, and can be considered slow fashion. Slow fashion is about enjoying each individual piece - it is what happens to fashion when you combine craftsmanship, ethics, and an environmental awareness. Everything in this week's post (and just about every other htwiw :)). has a timeless quality that will endure well beyond the next trend. All but one special piece were found on Etsy. 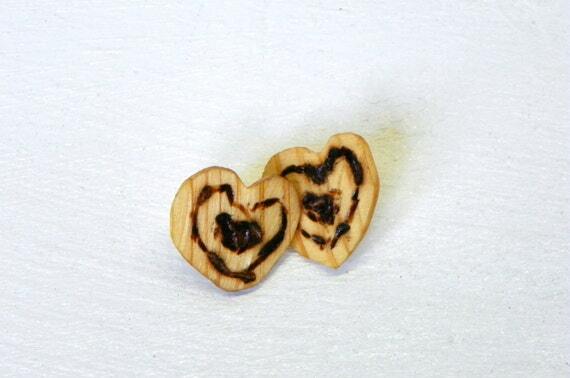 This pair of earrings from our shop are made from recycled pine. They have stainless steel posts. I burned the primitive heart design with a wire tool that I made. Every week, I fall in love with new pieces, and discovering new makers is a constant inspiration. 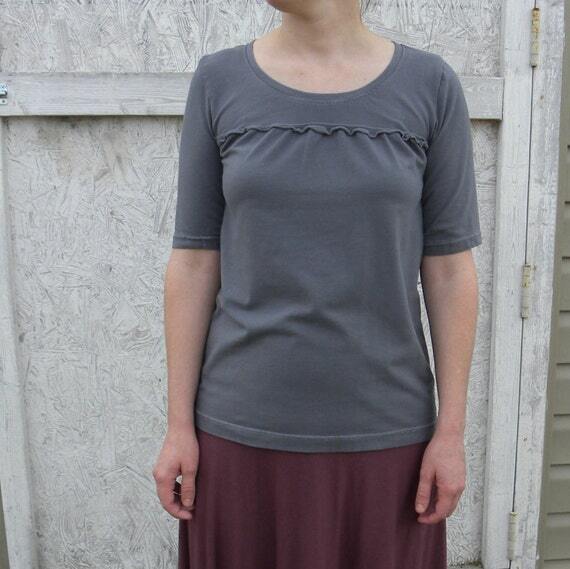 The Terry Skirt from Alabama Chanin is made from 100% Organic French Terry. It features hand embrodery and a painted design. I do not have the space here to adequately explain all that is Alabama Chanin, so I urge you to head over to their website and check them out. 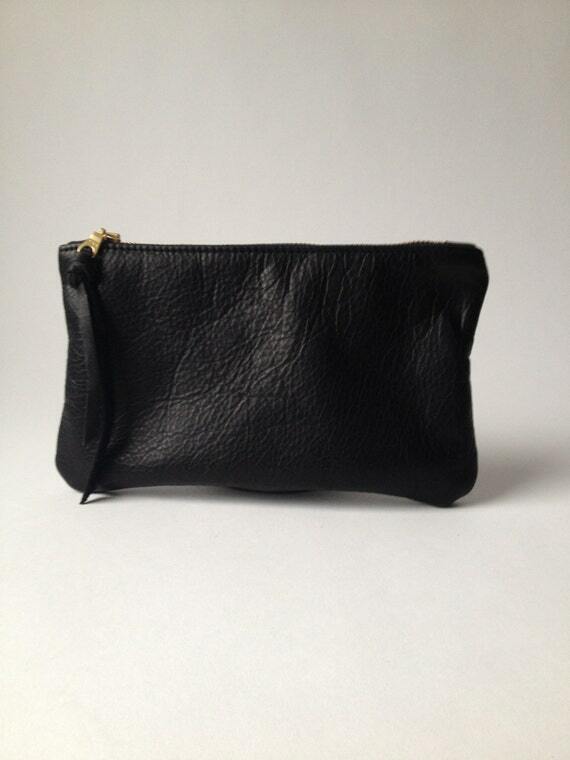 Made from supple, full grain leather, this clutch from Juliette Rose Designs will go anywhere. Just large enough to fit all of your essentials for a night out on the town, or throw it in your every-day bag so you don't have to dig to find what you need. 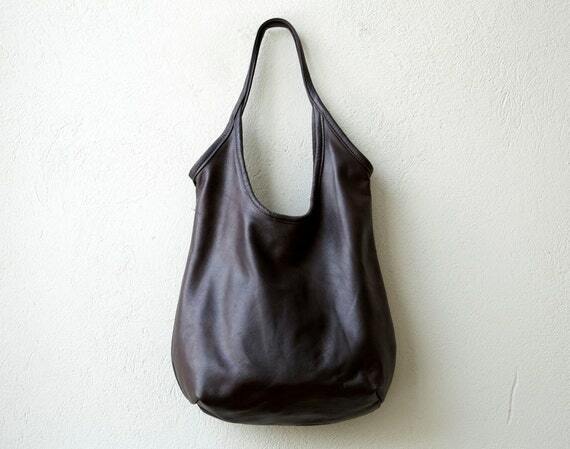 Juliette makes all of her bags by hand at her studio in Vermont. Symbolizing happiness and devotion, this henna inspired pendant was hand-drawn by the artist, then secured in an atiqued pendant. Find it at Eternal Girl. This shirt from Blue Ridge Stitches is made from 100% Organic Cotton fabric that was milled in South Carolina. It is available in a variety of hand dyed colors and made to order. 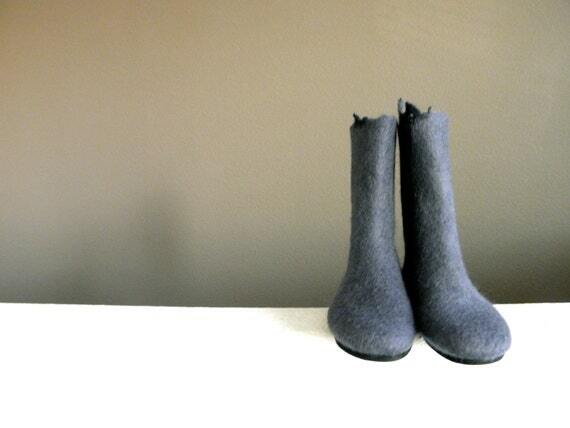 These boots from Momoish are felted from Maori Wool. They have been designed to hug your feet, and since they are made of wool your feet will be able to breathe. A virbam sole makes them appropriate for all surfaces. 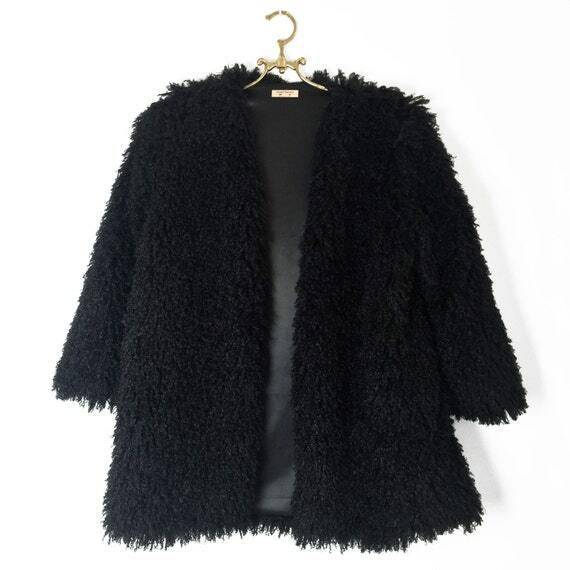 Shag Faux Fur Jacket from Cloud Hunter Co.
You can be guilt free with this made to order shaggy faux fur coat from Cloud Hunter Co. . It is available in a variety of lengths and colors. The satin lining adds to this jacket's luxurious feeling.